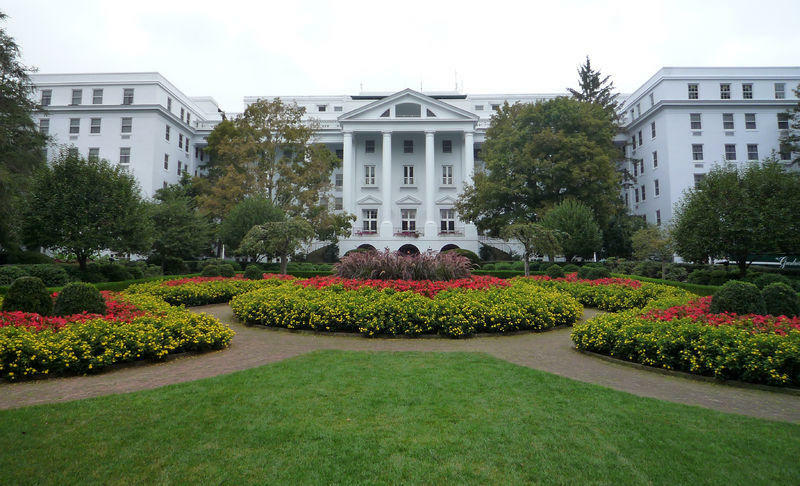 President Donald Trump's address to Republican congressmen at The Greenbrier resort in southern West Virginia drew several hundred protesters with signs and chants criticizing him and calling for living wages, protecting Medicaid and Medicare, defending immigrants and decrying hate speech. 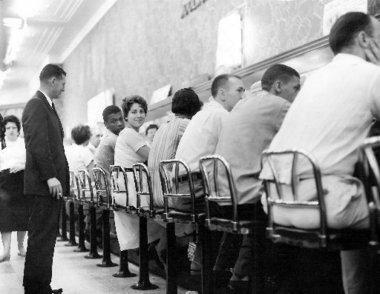 On August 11, 1958, the Congress of Racial Equality—or CORE—launched a sit-in movement at several Charleston lunch counters. Prior to this time, African-Americans in Charleston could order takeout food at many white-owned diners but were not allowed to sit down and eat. 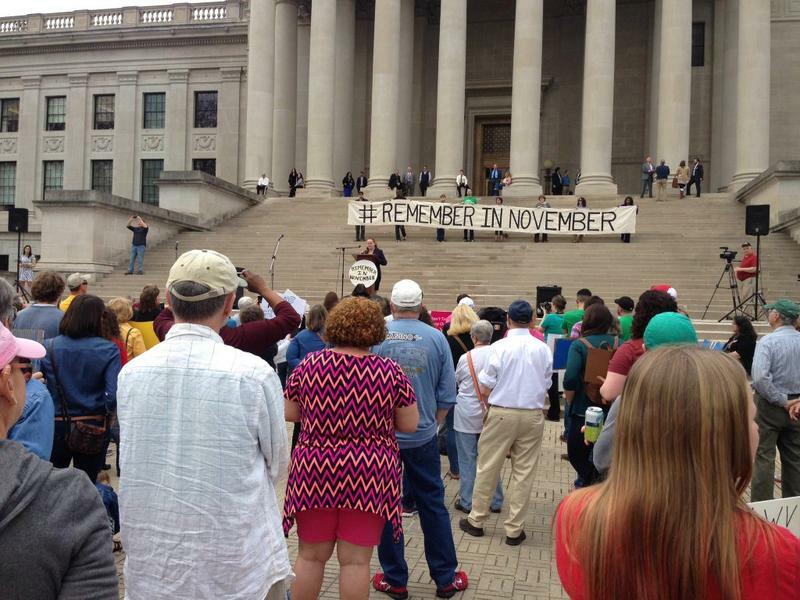 As lawmakers made their final decisions inside the House and Senate chambers, hundreds of protesters gathered just outside the Capitol to voice their displeasure with the 2016 Legislative Session. 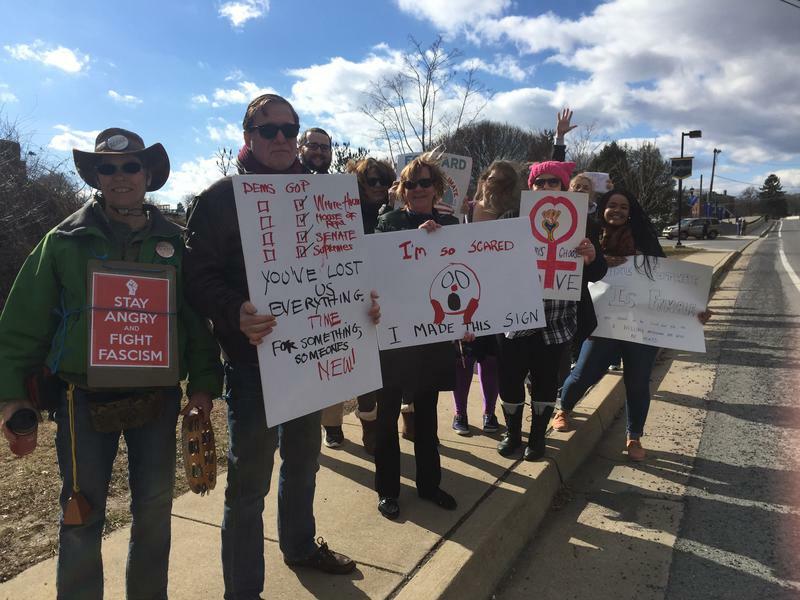 The protestors’ rallying cry, “Remember In November,” was a call to action for voters to express their outrage with lawmakers at the polls in the coming election. 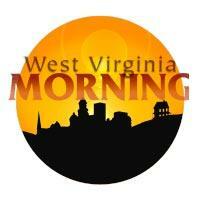 Coming up on West Virginia Morning, we take a look at how some folks in communities dependent on coal jobs are making the transition to new work, The Department of Natural Resources' budget woes, and we’ll have the latest on the protest at the capital over the repeal of prevailing wages. 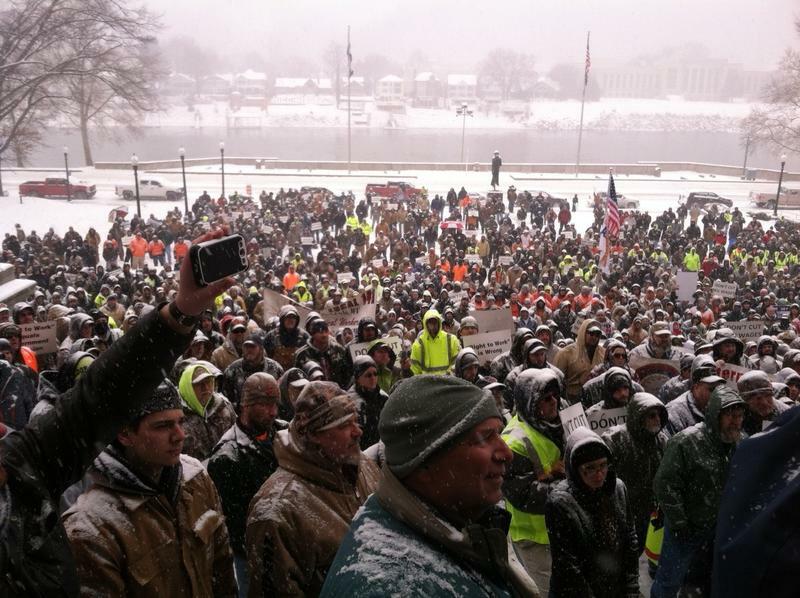 At the capitol Monday, a rally was held to speak out against the scaling back of the prevailing wage. Senate Bill 361 passed last Thursday in the senate. 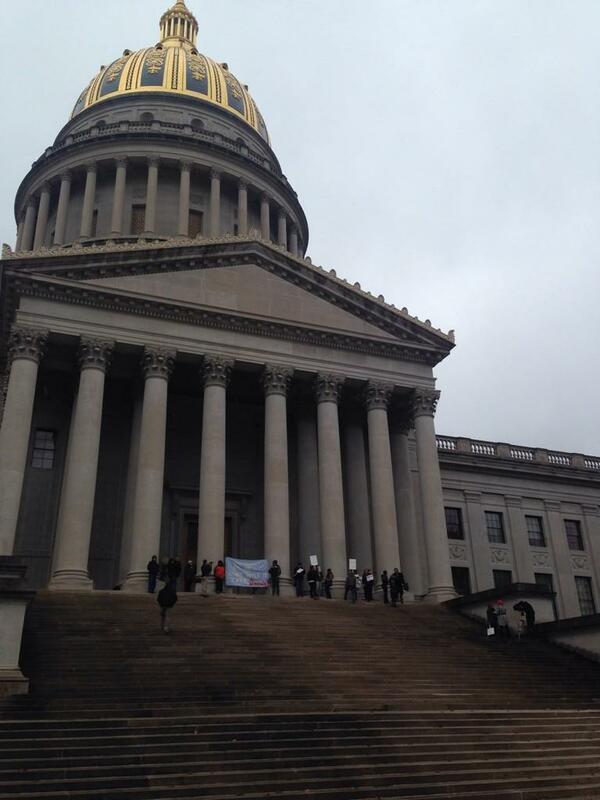 The rally was organized by Senator Jeff Kessler who has spoken strongly against the bill on the Senate Floor. 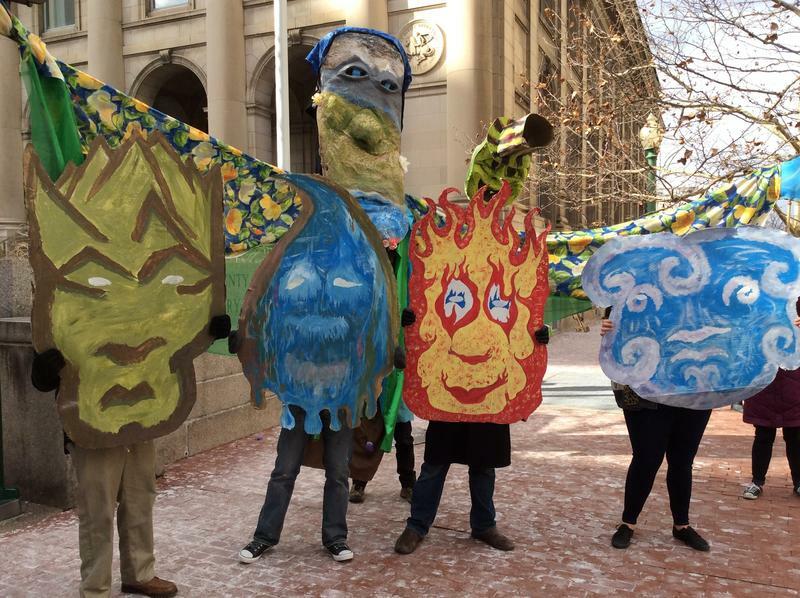 A protest featuring giant puppets was held in front of the Kanawha County Public Library yesterday, commemorating the January 9th chemical spill one year ago. A group of about 25 protestors gathered on the steps of the state Capitol Wednesday with handmade signs chanting, “Hands up, don’t shoot,” just as thousands of other activists gathered in large cities across the country. The group, while small in numbers, was there to show their support of Michael Brown, the black teenager shot and killed by a white police officer in Ferguson, Missouri, this summer. 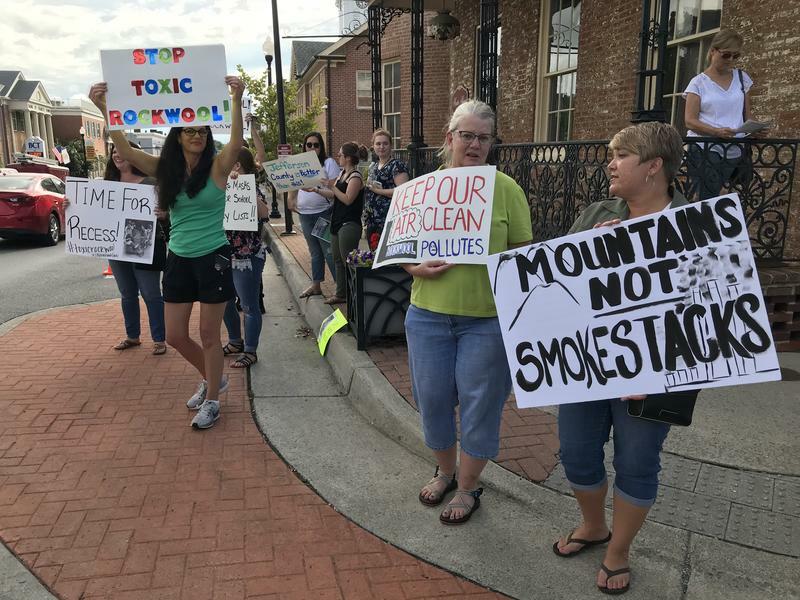 West Virginia Department of Health and Human Resources employees are picketing outside the agency's Fayette County office to raise awareness over what they call large, unmanageable caseloads. The employees say they'll participate in an informational picketing on Tuesday afternoon. 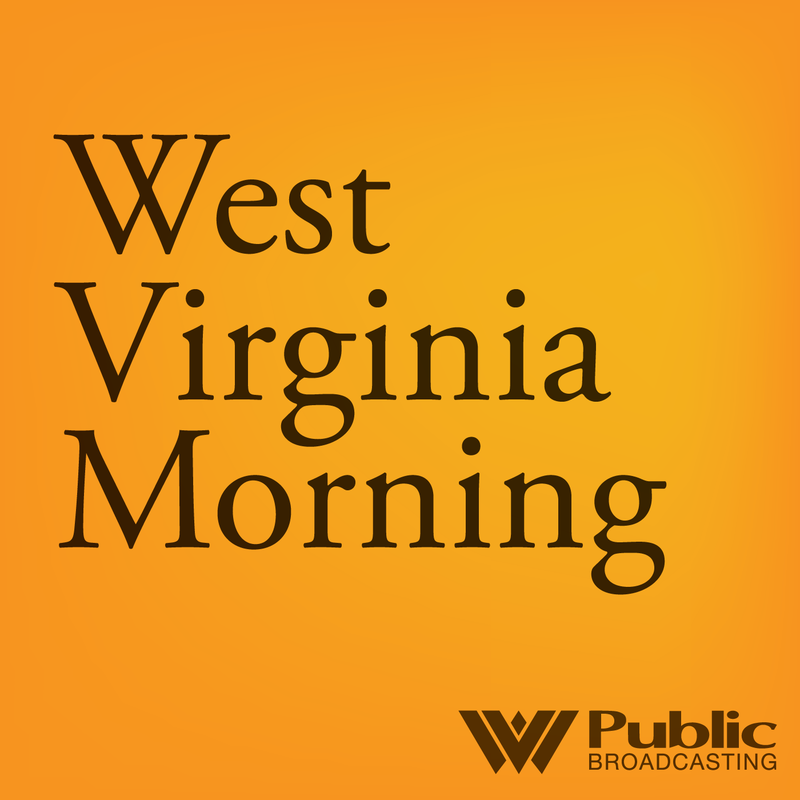 The West Virginia Public Workers Union says employees are carrying the large, unmanageable because of understaffing.